RyeCatcher for mobile is the mobile version of the web platform, RyeCatcher, needs and high risk students. The RyeCatcher app acts as a task manager for busy teachers, social workers, and school administrators. This app makes the RyeCatcher process easy, quick, and simple for users. In creating this app, we have streamlined RyeCatcher data entry, allowing users to quickly do what they need to in a simple, straightforward process. Our final deliverables to our client include annotated wireframes, high fidelity screen mockups, and high resolution images which capture the key ideas of our solution. Over the course of this project, we also developed a project plan, a halfway point client presentation, a presentation regarding user testing results, and a process document. 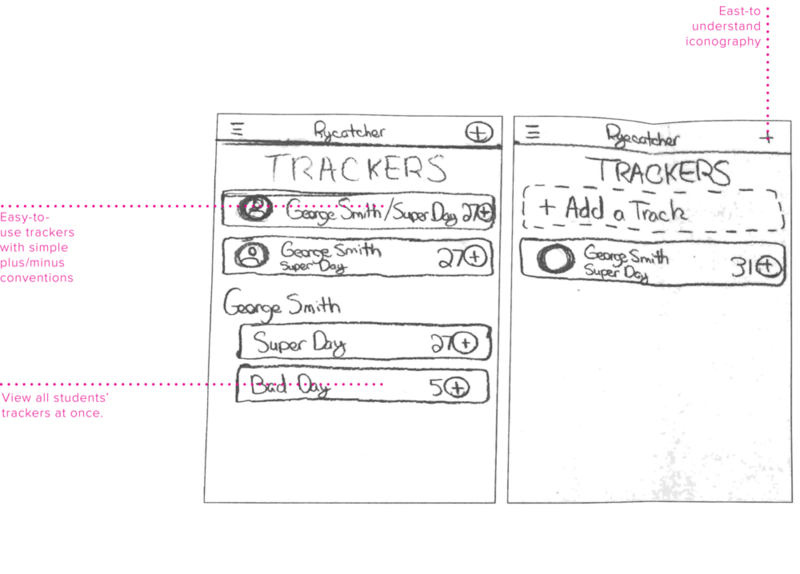 Brief: RyeCatcher would like to explore possibilities for a mobile application that presents a subset of functionality from the existing web platform. It will be your job to determine the best way to translate functionality from the web application into the mobile context. It is was our task to translate functionality from an existing web application and optimize features for use in a mobile context. 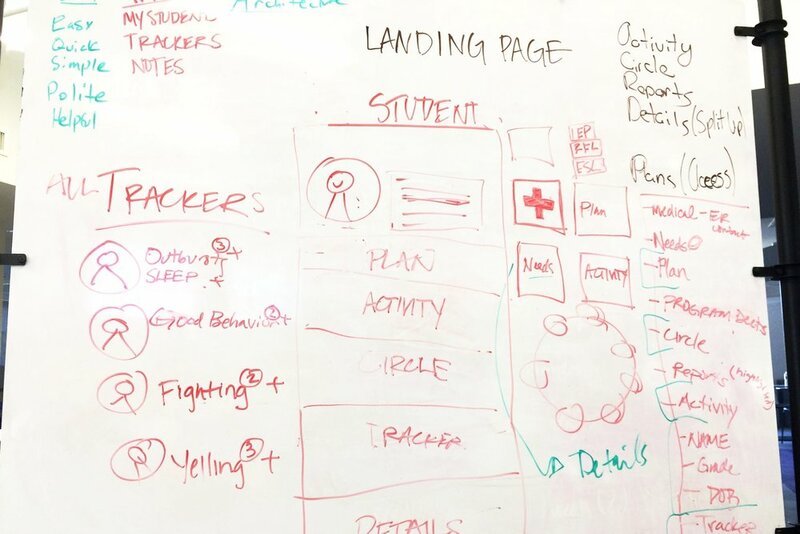 The product, RyeCatcher, enables parents and student advocates to build and manage a “circle of support” tailored to a student’s individual needs. It also serves as a tool to connect students with local support providers, and facilitates tracking and monitoring student progress over time. We learned from experts that teachers, support staff, and administrators are often so busy they don't fill out relevant data. They need a mobile app that takes the most useful features from the web platform and strips them down in a useable context. The app collects data about students to help keep track of their growth and needs to show schools where performance is good and where it is left wanting. Help teachers collect accurate data and track students' progress quickly and easily? Make data clearer for both users and students about a students' progress? Make a task manager that is both polite and helpful in order to encourage use? We conducted 2 usability tests with a teacher and a social worker on the existing web platform as well as use the platform ourselves in order to identify pain points with the existing paradigm. We identified major problem areas with feature creep, confusing labeling, and overall, too much information to contend with, especially in a mobile context. We all sketched individually after our initial brainstorming session to see how we could combine all our ideas into the final prototype. We culled the best ideas from all sketches into the final solution.